What better way for Marvel buffs to delve into the latest iteration of Disney Interactives captivating hybrid of video games and collectibles than with the Disney INFINITY 2.0 Marvel Super Heroes Collectors Edition set. While ardent Avengers enthusiasts will appreciate INFINITYs Skylanders-esque feel and gameplay elements, it’s the all-new lineup of interactive figures that will likely appeal to a broader segment of fans. In addition to bringing together all of the components necessary for players to enjoy the full Disney INFINITY 2.0 experience (including the game, INFINITY 2.0 figure base, Toy Box game discs, The Avengers play set piece, and four web codes), the PlayStation-exclusive Disney INFINITY 2.0 Marvel Super Heroes Collectors Edition includes figures based on Iron Man, Captain America, Black Widow, Hawkeye, Thor, and The Hulk (which is an early release exclusive). 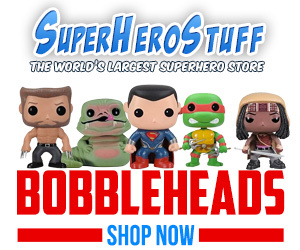 Clearly inspired by their big screen counterparts, the figures range in height from just under 3-inches to nearly 4-inches and bear stylized looks with exaggerated features and proportions. Despite being devoid of articulated joints and permanently rooted to their circular pedestals (that allow their digital likenesses to be imported into the game via the INFINITY 2.0 base), the figures effectively capture the essence of the Marvel heroes on which theyre based, yet with a uniquely robust and playful appearance. A clear highlight of the Disney INFINITY 2.0 Marvel Super Heroes Collectors Edition is the set’s exclusive light-up display stand. In addition to seven illuminated slots for figures, nearly half of the stand is taken up by a (relatively) sizable molded plastic Frost Giant thats depicted bursting from the faux-icy terrain. The monstrous, 10-inch enemy looms over the other figures with its battery-illuminated mouth, body markings, and eyes. Disney Interactives comprehensive Disney INFINITY 2.0 Marvel Super Heroes Collectors Edition starter pack is currently available for Sony’s PlayStation 3 and PlayStation 4 consoles at a retail price of $179.99 USD.